Здравей Карина, Моля те да ни пишеш на email (Може да го видиш в бутон "За връзка" или от формата за контакти), за да мога да ти изпратя повече информация за ЕДС проекта в Полша за зоо терапия. Volunteer will work Dogtor Foundation that works in area of pet-assisted therapy. 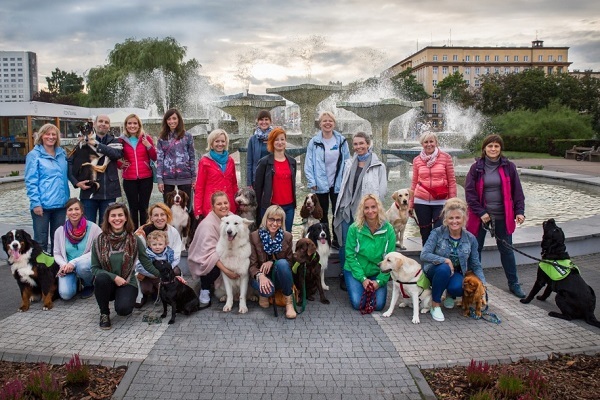 Dogtor Foundation is involved in dog therapy – a form of activity aimed at people with physical and mental disabilities and those suffering from other dysfunctions and illnesses. On the daily bases the volunteer takes part in the whole organization’s life including interaction with customers, assistance to the therapists during the workshops and the group sessions, work with documentation, preparation and dissemination of informational and promotional materials, participating in promotional activities, help in office and administration tasks and other small everyday tasks.